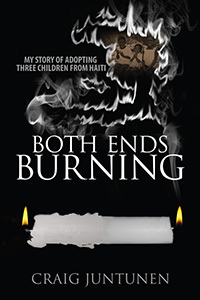 Outskirts Press author Craig Juntunen, whose memoir Both Ends Burning tells the compelling story of his adopting three children from Haiti, continues his mission to educate the public about international adoption, with the documentary film Wrongfully Detained. The film has begun production in Guatemala, and is scheduled for release in summer 2011, will focus on the plight of neglected children and discouraged families thwarted by the obstacle course of international adoption protocols. Juntunen, founder of the Both Ends Burning Campaign, is the executive producer and writer of Wrongfully Detained. The film is the first of many projects planned to create awareness about the international adoption crisis and, to help create solutions for the world’s orphaned children. All proceeds from the film will be given to the campaign’s ongoing efforts to save children who are “wrongfully detained” in deplorable living conditions. Craig Juntunen appeared to have it all. He sold his company at the age of 40, and set out to live the good life of retirement. But he soon began to feel something was lacking. 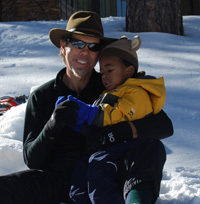 When a friend told him the story of adopting two girls from Haiti, Craig’s emptiness gave way to a sense of adventure. On a trip to the desperate Third World nation, a country wracked by poverty, corruption and kidnappings, his self-serving lifestyle began a very profound transformation. At an orphanage outside of Port-Au-Prince Craig encountered Espie, Amelec and Quinn. Even after decades of table-pounding declarations he would never have children, at 51 Craig became a dad. This inspirational story of an unexpected journey and personal transformation will say many things to different people. But for all it delivers a powerful reminder of our responsibility to reach out and be there for kids. 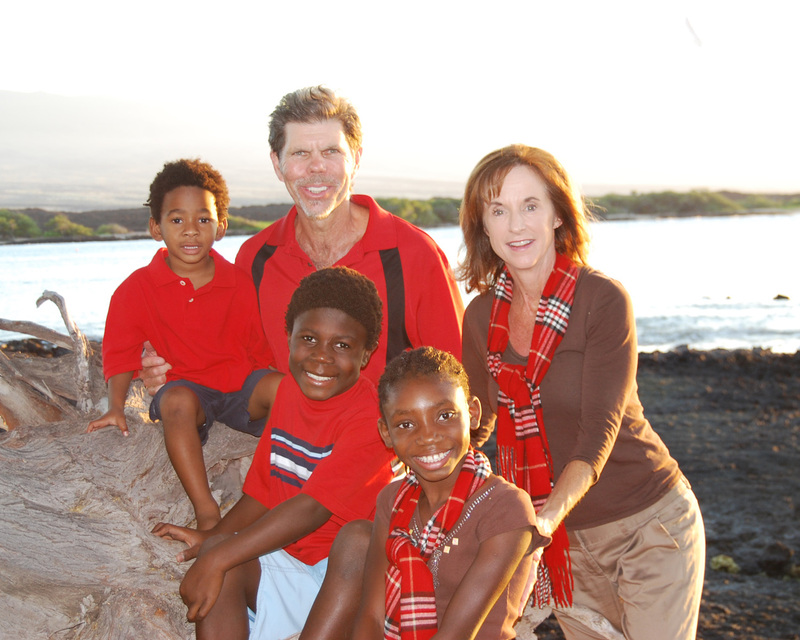 ~Kirk Triplett, PGA Golf Professional and adoptive parent. After a successful business career, Craig Juntunen started Chances for Children, a foundation that works on behalf of orphaned and abandoned children in Haiti. Over the years Juntunen has also been involved in other philanthropic causes: A college scholarship fund, a fundraising golf tournament for Special Olympics, and many other local and regional charitable activities. He enjoyed a successful athletic career, culminating as a quarterback in the Canadian Football League. He is a member of the University of Idaho Hall of Fame and the State of Idaho Athletic Hall of Fame. Visit Chances4Children.org to find out more about Juntunen’s foundation. All the royalties for Both Ends Burning to go the organization. Send a text message with the word “HAITI” to 90999 to donate $10 to Red Cross relief efforts.